If you’re going to Ollantaytambo during the Carnival in late January and early February beware of youngsters. Children are licensed to drench each other with water bombs. 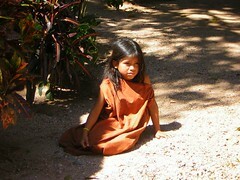 The custom dates back to pre-Inca times, and is related to the planting of crops. Traditionally men woke their sweethearts with a bucketful of water, and later in the day the women retaliated with sneak attacks. Though some adults still indulge, today the sprinklings are mostly confined to children, avenging playground grudges and settling rivalries between siblings. Occasionally tourists are caught in the crossfire, or mistaken for a favourite uncle (fare game). At my hotel, Rosa, the owner’s daughter was waging a stealthy war against Jose, the boy who helped his parents run the restaurant up the street. Both were in their early teens and had reached the age when this might be their final year to fight in the annual water war. As seasoned veterans they both took on the roles of battlefield commanders, organizing their younger siblings and friends into ambush squads and water bomb re-loading teams. 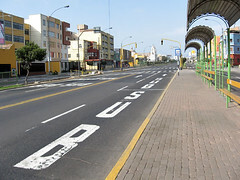 The street and sidewalks between them were the contested area. Water-swollen plastic bags were tossed, the contents of pails and pots were thrown, and hoses let loose. The kids’ water fights are a part of Carnaval – Festival of Joy. Other carnival and fiesta activities in January and February include the Dance of the Condors, a parade procession in masks and costumes, cattle branding, stick fights (Chiaraje), and ritual battles fought by throwing ripe fruit. Ollantaytambo is considered the best preserved continuously inhabited Inca village. It is in the “Valle Sagrado de los Incas”, the Sacred Valley of the Incas, and is a short distance from Macchu Pichu. 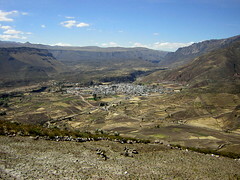 Ollantaytamblo has several impressive Inca structures including a large fortress. 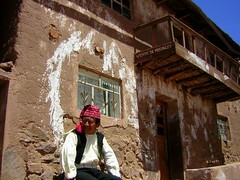 Most of the community is built on the foundations of Inca houses, and many original buildings remain inhabited. The town of about 2,000 inhabitants has enough archaeological treasure to be an alternative to Machu Picchu, with the added attraction of being a living community. The stone block roads, walkways, walls, aqua-ducts, and water drains are authentically still in use. 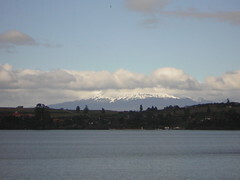 It is the site of a significant victory by Manco Inca over the invading Spanish conquistadors. Manco Inca won the battle by manipulating the complex irrigation and aqua-duct system, flooding the battle field. The Spanish advantage of horses was turned against them as the animals bogged down in the muddy fields. The town is a stop on the railroad from Cusco to Agua Callenties, which is the village at the base of Machu Picchu. All major tour agencies include a visit to Ollantaytambo with their packages. 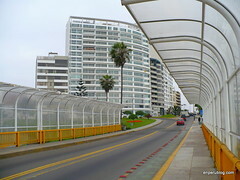 Take a look at the luxury South America travel packages and South America tour packages offered by this operator. Hostal Las Orquideas, Estacion, telephone 084-20-4032. 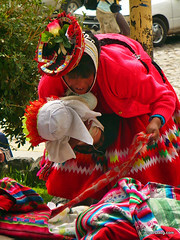 Train to Machu Picchu and Cusco http://www.perurail.com/en/tickets_buy.php telephone 51 84 581 414 (Cusco), 051 1 517 1884 (Lima).